I spend far too much time on Instagram and keeping up my white theme is a pain in the back side... But I thought it'd be nice to share how I edit my photos because I get I asked a fair amount of times. *Self Promo* My instagram is @LaurieElle so if you like my photos you can follow me, I don't mind! The apps I use are: INSTAGRAM, VSCO CAM and PICSART. You can find all of these in the App Store. I have included some screenshots too, hopefully this will help! This first edit can help edit photos that you have taken on a white background, but they just aren't white enough. I took the above photo again my white bed sheet, and it came out with a yellow-y tone and shadows. It was dark and I wanted it brighter to match my theme. I adjusted it using the VSCO Cam app and the effect SE3, which you can download for free in the VSCO store. This makes the photo more black and white. I then decreased the amount of effect, to about 5/6. This way, it won't fade out all of the colours. I then open this edited photo on Instagram and click on 'Highlights' and increase it until it looks ok. I sometimes also adjust the 'Brightness' on Instagram. But I've discovered it sometimes washes out the colours. Or if a photo has lots of shadows, I will adjust the 'Shadows'. I do this to all of the photos I post on the Insta! For this next photo, I took my selfie (we all do them) in my kitchen because the lighting was on point!! You know that lighting where the sun is shining straight through the window? Yep, it was that one. Obviously, having my kitchen as the background isn't very flattering or theme-matching. So I used PICSART to do some touching up. Honestly, this is really fiddly but it looks good once you get the hang of it. Ok, I open the PicsArt app. Upload my photo. Click on 'Effects' and choose the 'Film' effect. I then do the fiddly part by click on the paint brush and choosing which ever size I'm feeling. Obviously, the smaller the brush, the neater. Because I then erase the effect on the part that I don't want white. In this case it is my self. I usually use the bigger brush then change to the smaller brush for the edges. Once I've completely removed it (I didn't do it properly for the screenshot, sorry, I'm lazy) I change the input shift to 0 and output shift to 100. This makes the background white. I sometimes change the effect to 'Film Black & White' and do the exact same process. AND THAT'S IT! 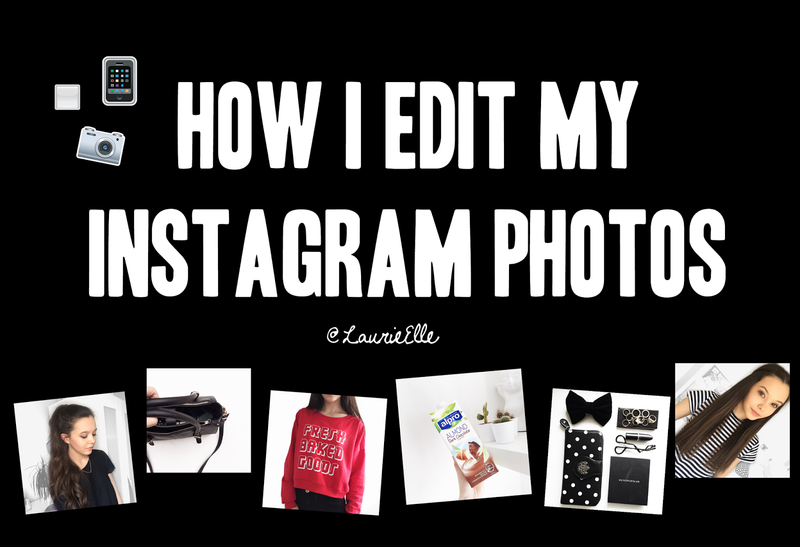 These are the main two ways I edit my Instagram photos - if you care! Let me know what you though of this post. My OCD kicks in and I find them kind of messy but I would love to know what you think! What is your favourite photo-editing app? I have picsart but I was always confused on how to use it nicely and now I know so tysm! I am just reading this in 2016 and I can't find the SE filter anywhere on VSCO ! I was just wondering if you knew of another filter that is equivalent to the one that you use ? Thanks !